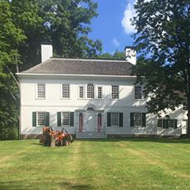 Due to the devastation in our area from the Emerald Ash Borer, we are offering special pricing on all Ash Tree stump grinding in Morris County. 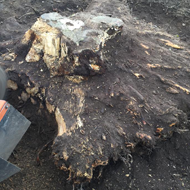 Ace Gallagher Stump Grinding is the go-to tree stump grinding service for many of the area's top tree companies, federal parks, municipalities, schools, over 150 landscaping companies, "Ace Gallagher wants to be your stump grinding service." That's why ACE GALLAGHER STUMP GRINDING SERVICE, LLC. not only grinds stumps— we also explain in great detail the specifics of our process. 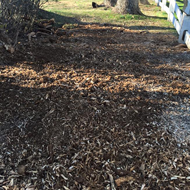 Our top-of-the-line equipment allows us to turn an ugly stump into mulch that's fantastic for your garden and looks great too, and we are now offering all phases of tree care. Treating every customer with fairness and respect, the focus of creating this company was to provide excellent service, a very safe operation, the highest level of quality control, and fair pricing. 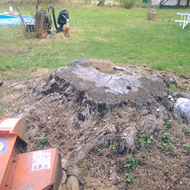 ACE GALLAGHER STUMP GRINDING in Morristown, New Jersey, has been providing top-quality stump grinding services for more than 25 years. The precision of our tools allows us to grind your stump without harming any surrounding trees or landscaping, resulting in a beautiful yard. ACE GALLAGHER STUMP GRINDING is quick, safe, neat, and surprisingly affordable. The New Jersey Forestry Division awarded us the Individual in Excellence and Forestry award in October of 2009. ACE GALLAGHER STUMP GRINDING is a member of Tree Care Industry Association, the Arborists Association of New Jersey, International Society of Arboriculture, One Day One School, and New Jersey Farm Bureau.